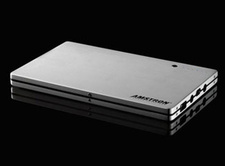 An industry leader since 1999, Amstron Power Solutions is the power behind everything from cell phones to industrial battery backup systems. Our lithium ion battery packs are precisely engineered by skilled technicians and rigorously tested by independent labs, with the technical support and service only a direct manufacturer can provide. 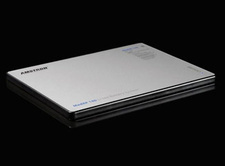 The result: safe, reliable, and customizable batteries for consumers, companies, and industries. MedXP is our newest custom solution. Developed in collaboration with hospital professionals, MedXP Medical Batteries are the only mobile power solutions designed specifically for the medical environment. These cutting edge lithium ion batteries offer easy, reliable auxiliary runtime for medical devices and mobile workstations. With a range of options from ultimate endurance to ultimate portability, there's no power challenge they can't meet. And with a wide array of customizable adaptor tips, there's no limit to their applications. Just 1.3 pounds, the MedXP 66 offers portable extended power for the notebooks that hold critical patient and procedure information. This universal travel battery is compatible with most laptops, features USB output to charge mobile devices, and charges with your laptopâ��s AC adaptor to lighten your carry-on. PERFECT BALANCE OF POWER AND SIZE. 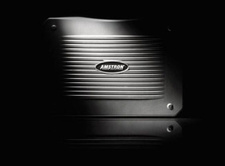 THE DEPENDABLE POWER CHOICE FOR MISSION CRITICAL APPLICATIONS. Featuring up to 130 watts of AC output, MedXP 300 is the most powerful battery on the hospital floor. All-day use, ability to charge while in use, easy wire management, and a seamless fit into most carts, baskets and trays makes the MedXP 300 an innovative new power source for surgical laptops and mobile medical devices. With an extensive intellectual property portfolio, Valence Technology has become the commercial leader in the supply of intrinsically safe high volume lithium iron magnesium phosphate (LiFeMgPO4) products. Valence Lithium Iron Magnesium Phosphate is becoming a much sought after battery technology for unique applications demanding 100% dependable energy in 24hour & challenging operating conditions. Medical carts are used to provide constant PC power in the healthcare sector with a range of features increasing the efficiency for healthcare facilities. Powered by the Valence U-Charge® RT module, medical carts are used round-the-clock in a variety of applications including; data recording, medication dispensing, training and education. Available in 12V and 24V configurations for maximum 48 volt systems, RT incorporates a built-in battery management system. Capacity is fully scalable ensuring a cost effective replacement for typical lead acid applications. RT also provides twice the run time and up to 7 times more cycles at 2/3 the weight. 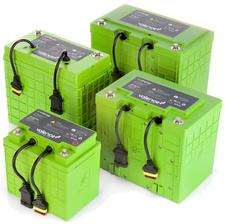 A range of 12, 18 & 36 volt Lithium Iron Magnesium Phosphate battery modules, offering intrinsic safety, and comprehensive voltage and capacity options. XP enables twice the run time and up to 7 times more cycles at 2/3 the weight of similar sized lead-acid battery modules. 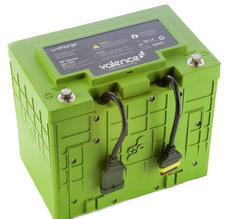 A high-performance, 24-volt battery, built on Valence�s patented Lithium Iron Magnesium Phosphate chemistry platform. Designed for high-power, short-duration discharges, this technology combines the power of lithium and the safety of phosphate, in a lightweight, versatile, building block. Valence is committed to providing efficient system commission to exacting specifications. Highly experienced sales and engineering teams in US / Europe ensure systems are developed, integrated and supported in line with client objectives. Send us your inquiry.